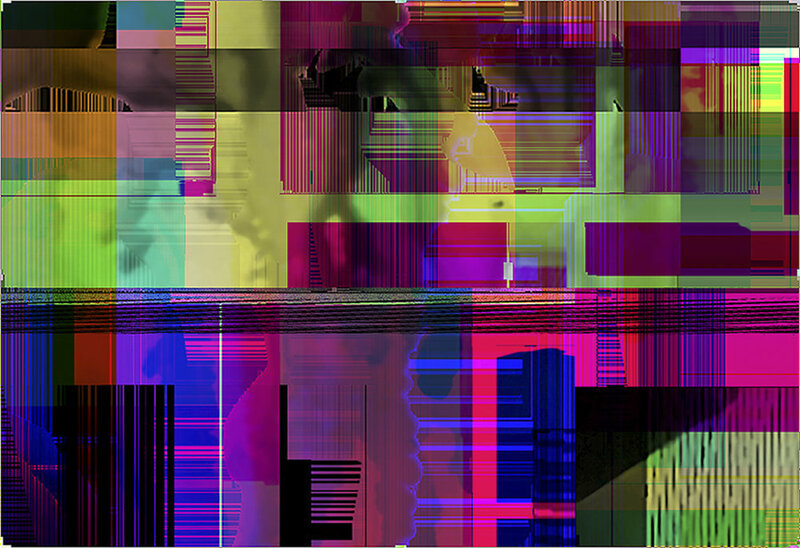 I began this series while working with layered images of the figure in Photoshop, when I unexpectedly encountered an error transforming the digital image into abstracted and fractured parts. 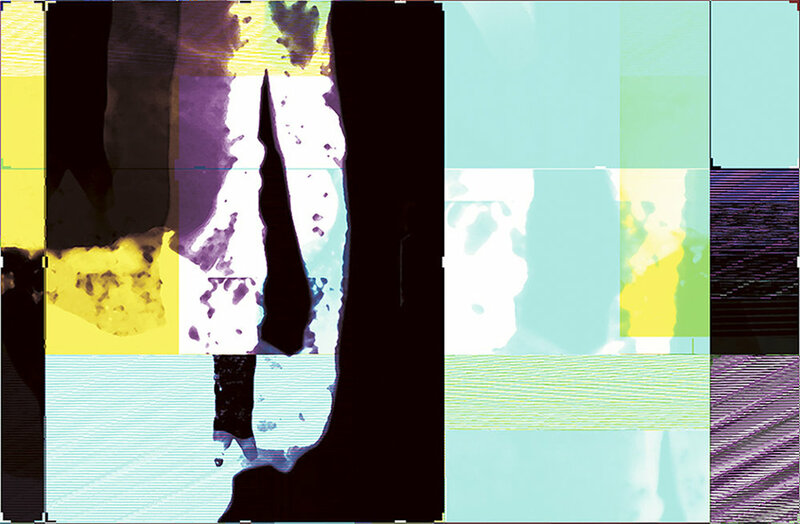 I embraced this digital defect and began repeating the sequence of actions that created this visual effect and manipulating the program further. 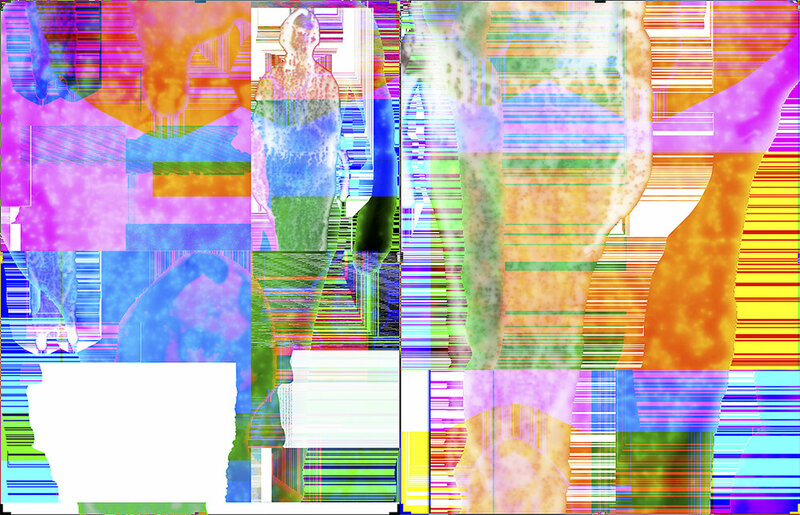 The individual characteristics of the human form appear to simultaneously merge with and disintegrate into the most basic elements of visual digital information. 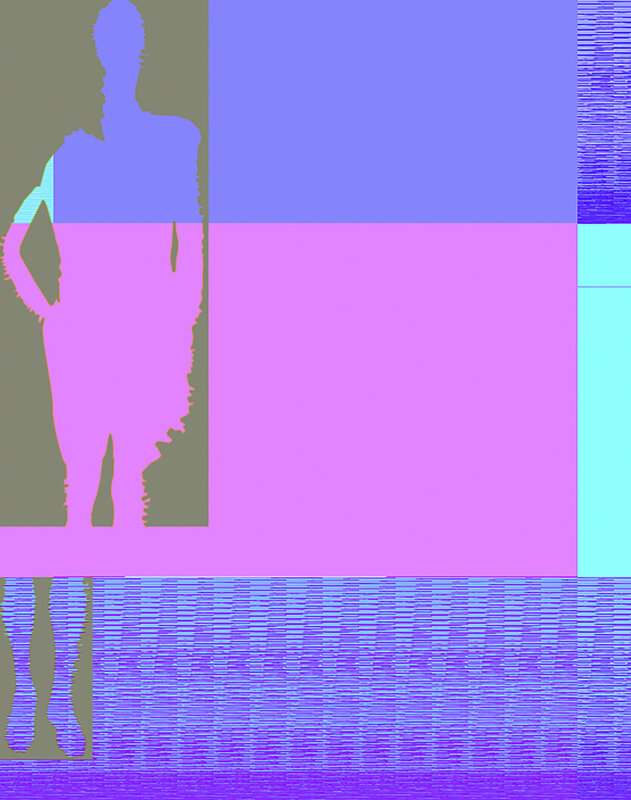 The body is seen as inseparable from its digital representation, and the technological breakdown of this digital information calls attention to ideas of physical, bodily deterioration. 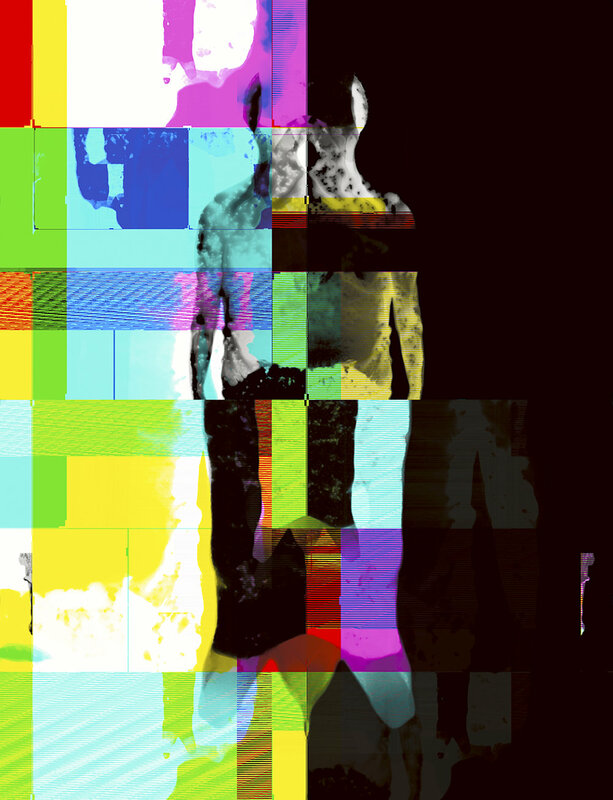 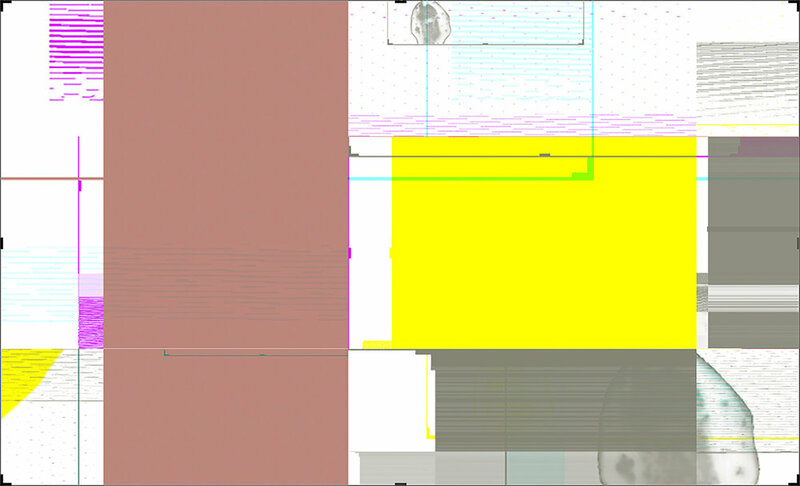 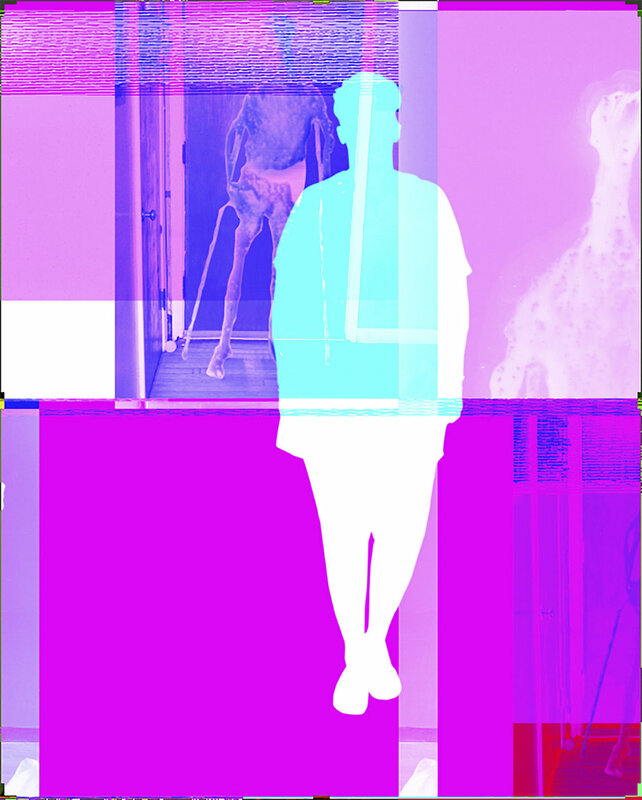 These distressed digital bodies lack identity and solidity on the page, thus hinting at the underlying instability of identity, suggesting that we, who are represented by these digitally disintegrating bodies, occupy a similar conceptual space, both as images and as beings in a technologically saturated society.